This mindset held us well over the first year. 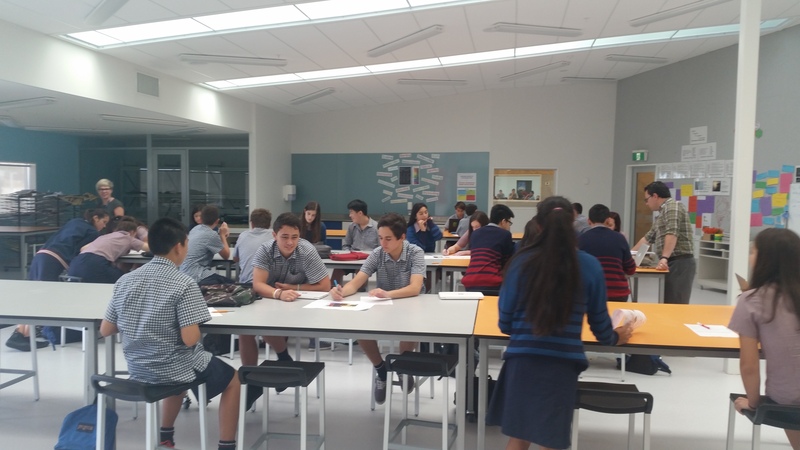 We tried things out, worked on our teaching relationships, gave feedback and planned for how to improve our co-teaching. Most of the articles we could find online were about co-teaching relationships between special education teachers and classroom teachers but their co-teaching models were valuable for us. Apart from the basic drawings, that still embarrass Kylee to this day, these models (derived from all kinds of online sources) have served us well as we got started with co-teaching. This term, our Specialised Learning Leader team are focusing on helping staff to improve our co-teaching and make this more effective. 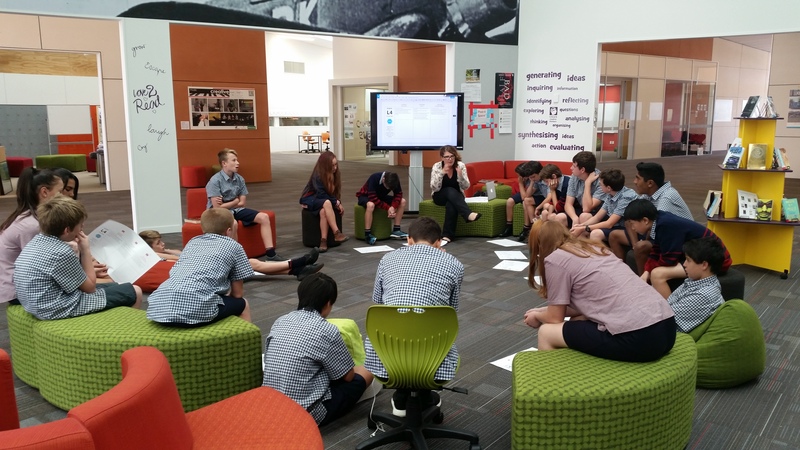 This focus will involve working on co-teaching strategies, curriculum integration and multi-disciplinary models, and ways to utilise our open spaces more effectively. To start the term, our reading of the week was this article by Dr Richard Villa on effective co-teaching strategies and the potential problems to overcome with each one. We followed this up with our weekly Thursday Kitchen Table session looking at the co-teaching strategies in action already. In this 20 minute Kitchen Table (our version of a traditional staff briefing) photos of 5 different teaching teams in action were shared. Staff looked around each photo and wrote down how they thought each team was operating. The discussions as staff looked at what was happening in each situation was great. Comments written down around each photo mentioning stations, leading and supporting teachers etc. 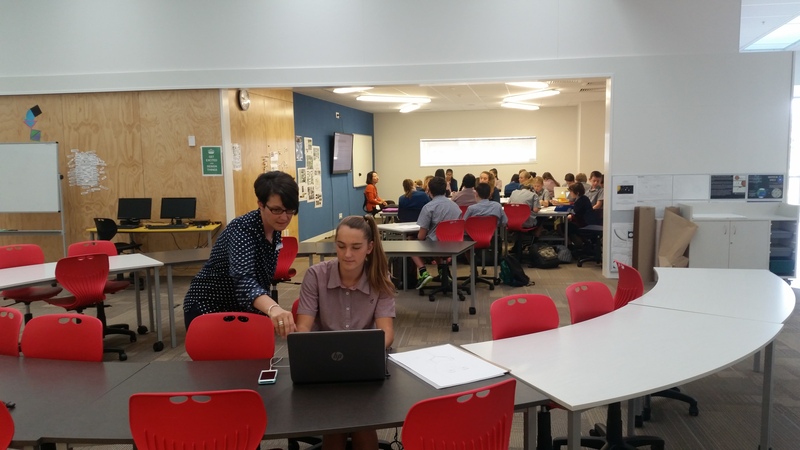 Each teaching team featured in the photos was also then given a chance to explain what was actually happening (especially useful for the 3rd photo in the series where it looks like Di is 1 on 1 with a student but there were other working just out of screen shot!). 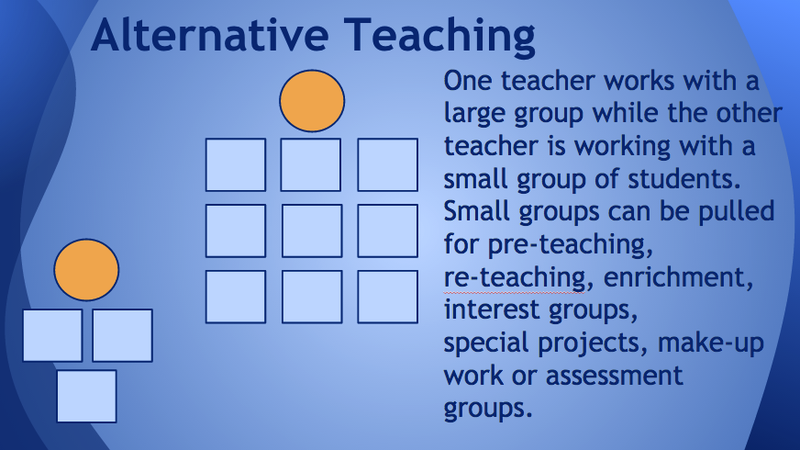 What this session highlighted is that there is already some great practice occurring in our co-teaching. These photos were taken in 1 day during 2 separate 10 minute walks through our school. 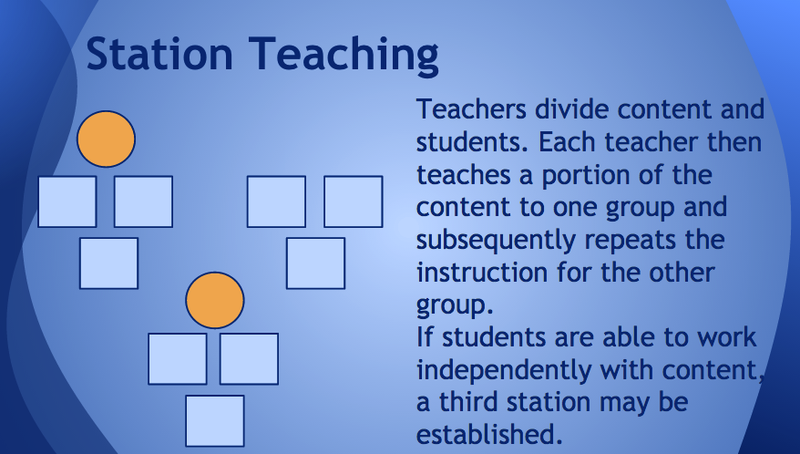 A range of co-teaching models in action and teachers are able to recognise what may be going on in various situations. 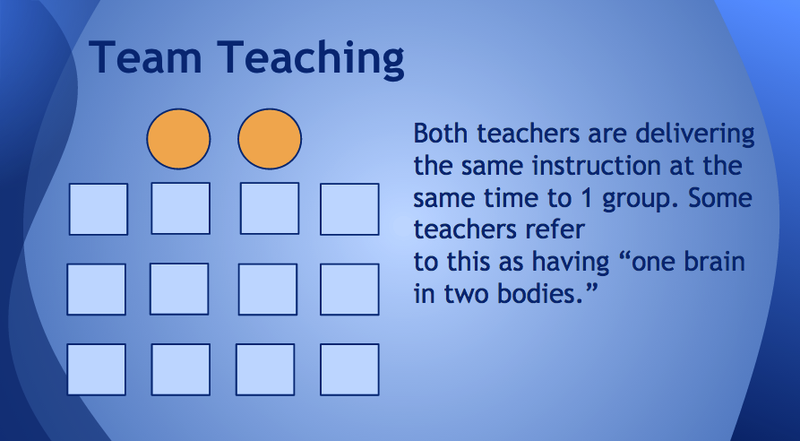 This demonstrates that we have now built up a good background understanding of how co-teaching can occur. What we now need to focus on is making these even more effective for our students. 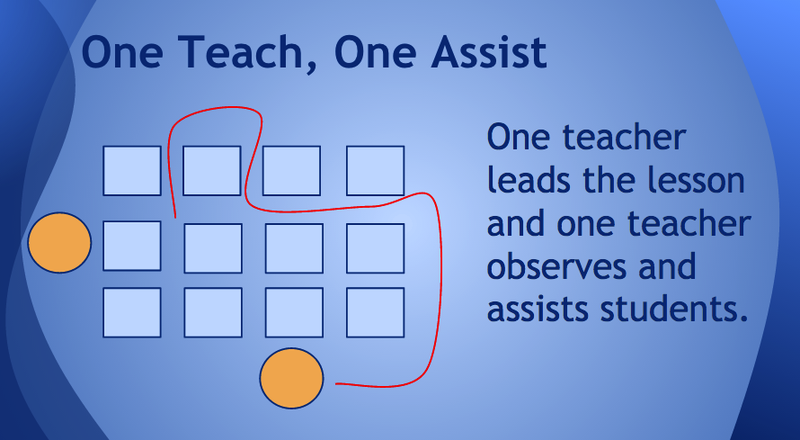 Are we using the right co-teaching strategies for the right purpose? Are we varying the use of these appropriately? Are we utilising our strengths in the right way to empower our learners? And that’s what this term focus is about! 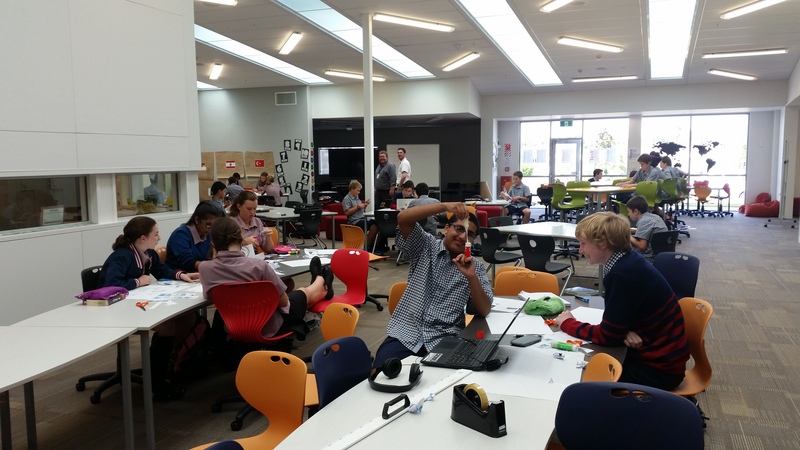 This entry was posted in Uncategorized and tagged co-teaching, coteaching, Hobsonville Point Secondary School, mle, mlp, Modern learning environment, relationships, strategies, teaching, team teaching by stevemouldey. Bookmark the permalink. Awesome to see such a practical resource being shared. Something I am really interested in learning more about as I’ve never seen it in action. Great post Steve! Will be on-sharing with my networks. Very, very useful post for the board here at Rolleston Steve. Thanks. I do wonder though, why you would need large group instruction when much of that sort of thing can be taken online. To what extent have you integrated the online world with face to face? Not saying you haven’t done this of course – I’m sure you have. I’m just curious what that might look like currently. 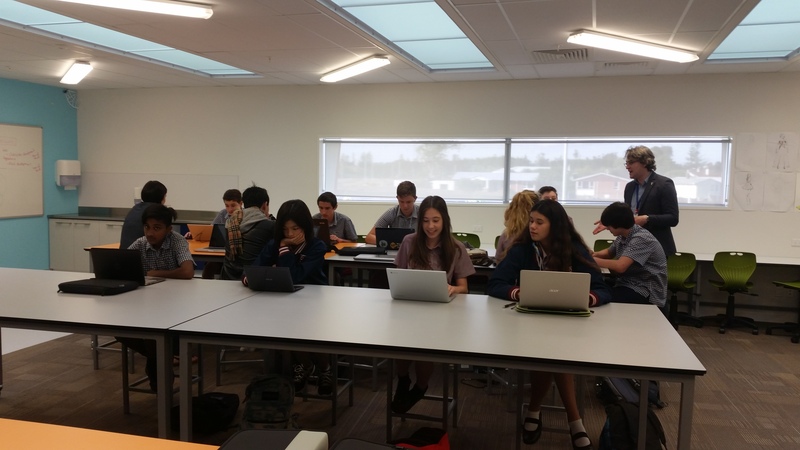 Thanks Steve, I’ve been flipping my classroom using a blended learning approach. 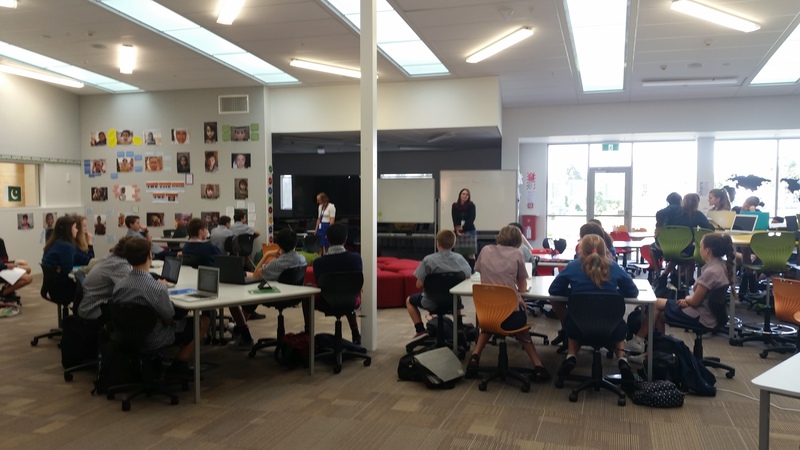 Our school has just received MOE funding and will be moving to team teaching in MLE’s. We’ve been trialing it this year in one area with mixed results. thanks for being so open, we learn best when we learn together.